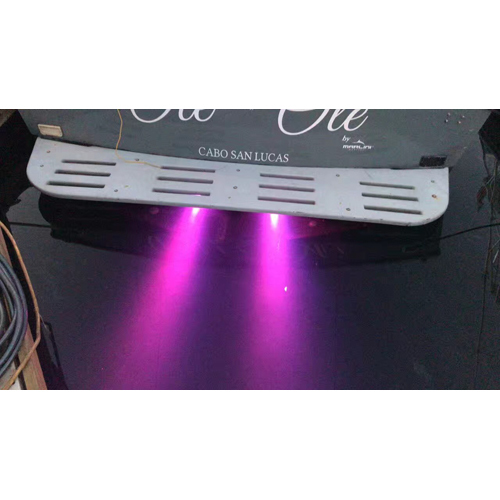 An incredible innovation on the market of Underwater LED Boat Lights brought to your by Imarineled. No drilling or holes needed in your transom! VIBRATION PROOF & WATERPROOF: The construction of the light is super durable making sure you will have a robust and reliable product for years! 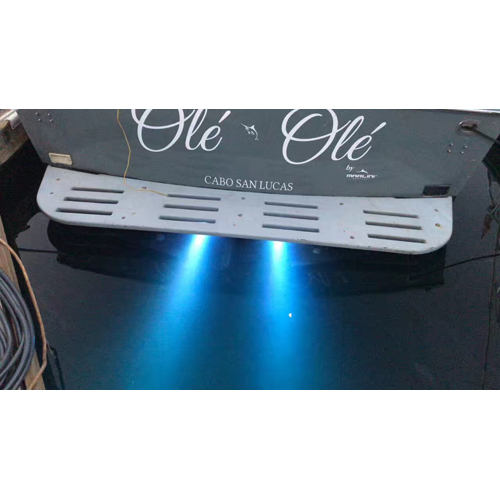 The vibration from the engine will not have any effect on the light so that you can safely use it while cruising your watercraft! 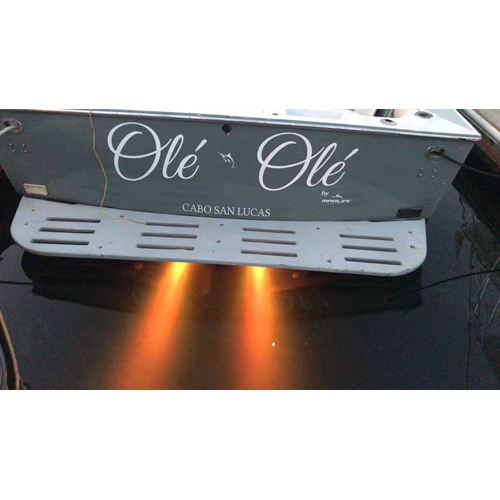 The shell is made of Marine Standard Stainless Steel which has great anti corrosive effect! 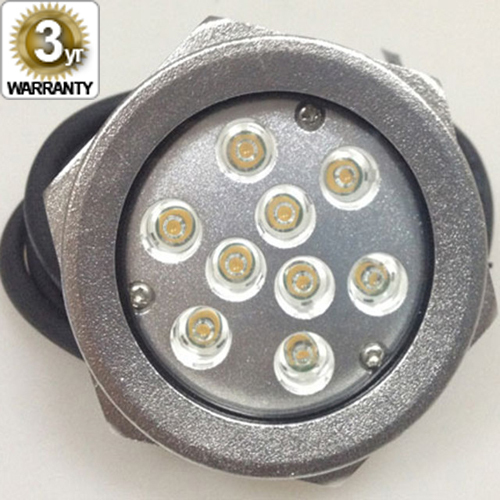 GREAT LIGHTING SYSTEM: With 9 high-power 3W CREE LED lamps, the total lightning goes up to 27W lighting! 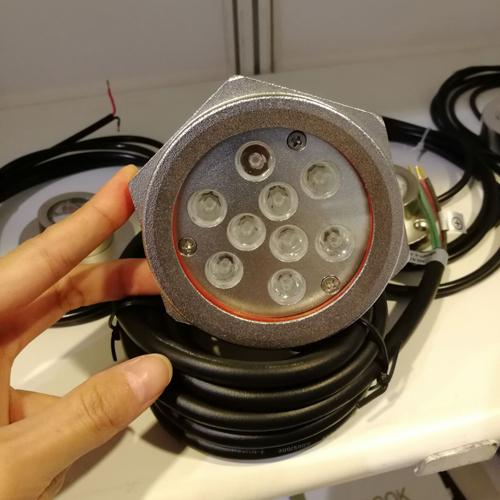 It also provides 180°viewing angle and luminous flux 1800Lm! Most of all, you have Blue, Green, Red colors in one Lights! The Color Change of the lights is amazing! Not need to mention how cool it looks at night on the water! CAREFULLY DESIGNED TO COVER ALL YOUR NEEDS: The light also features good heat radiation! Marine Standard Stainless Steel housing is great to protect the light and extend the lifetime of this product! Even if you forget to switch it off, it will turn off automatically! SUPER EASY TO INSTALL: It comes with a waterproof connector in order to provide you with an easy installation! No drilling hole are needed, just screw it into the existing holes on your boat! You can easily replace the existing 1/2″ drain plug on the boat and simply screw into the 1/2″ threaded entry and connect the wires! MANY APPLICATIONS: Safety comes first! Make sure that you have ample light and clear sight when you are performing your nigh water activities! What’s more? 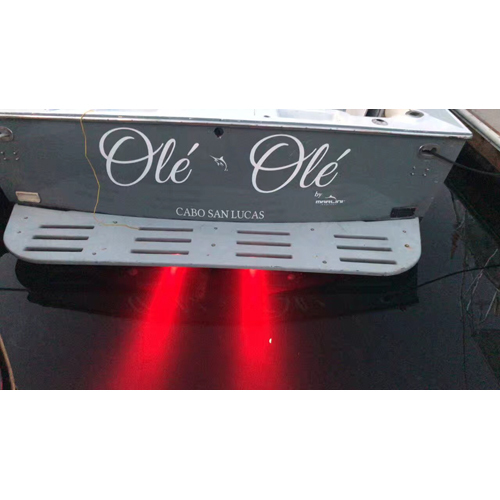 If fishing is your passion you will definitely love this light! It attracts all types of fishes making it easier for you to catch the Big ones! On top of that, night swimming and diving have never been more pleasant! With our Drain Plug Light systems, no more drilling, cutting or sealing, installation and/or removal become a kid’s game! It is both easy and quick to remove and swap to another vessel, which makes it a valuable and affordable option for private or commercial boats. 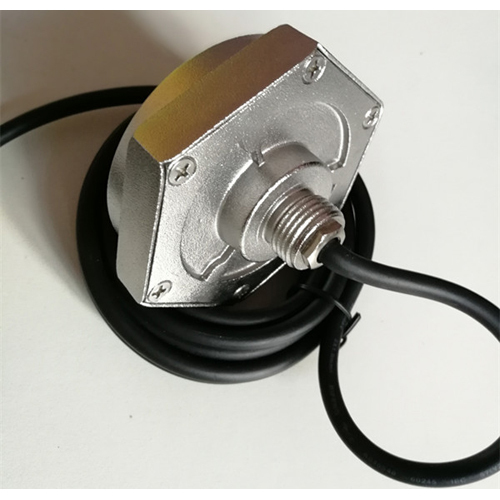 The drain plug LED system just screws into your existing boat drain plug hole, you only need to connect it to a 12V power source and the magic happens.